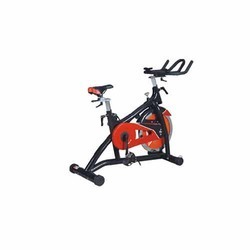 Offering you a complete choice of products which include group bike and domestic group bike. Computer functions time, speed, distance, calories & pulse. 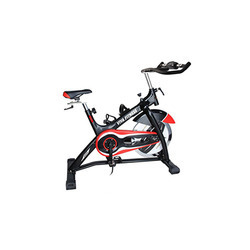 We have emerged as the foremost organization engaged in offering a wide assortment of Domestic Group Bike that has SPD racing pedals. Its adjustable and ergonomic handle bar assist the most comfortable sitting. 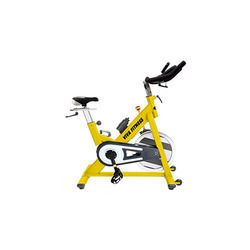 Offered group bike is manufactured using superior grade raw materials and latest technology in fulfillment with the norms of industry. 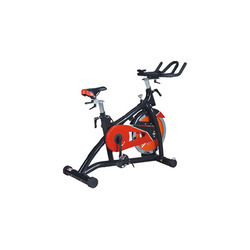 These products are well known for their durability and noiseless workout. Backed by our rich industrial experience in this domain we are able to offer Group Bike that shows time, speed, distance, calories & pulse. This group bike is designed from the high-grade raw materials and leading techniques as per the norms of market. 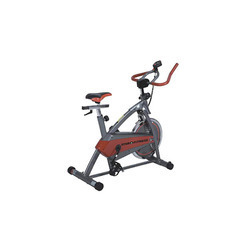 Our group bike is available in varied specifications so as to meet the variegated needs of customers. Customers can avail this group bike from us at reasonable rates within a committed time frame.